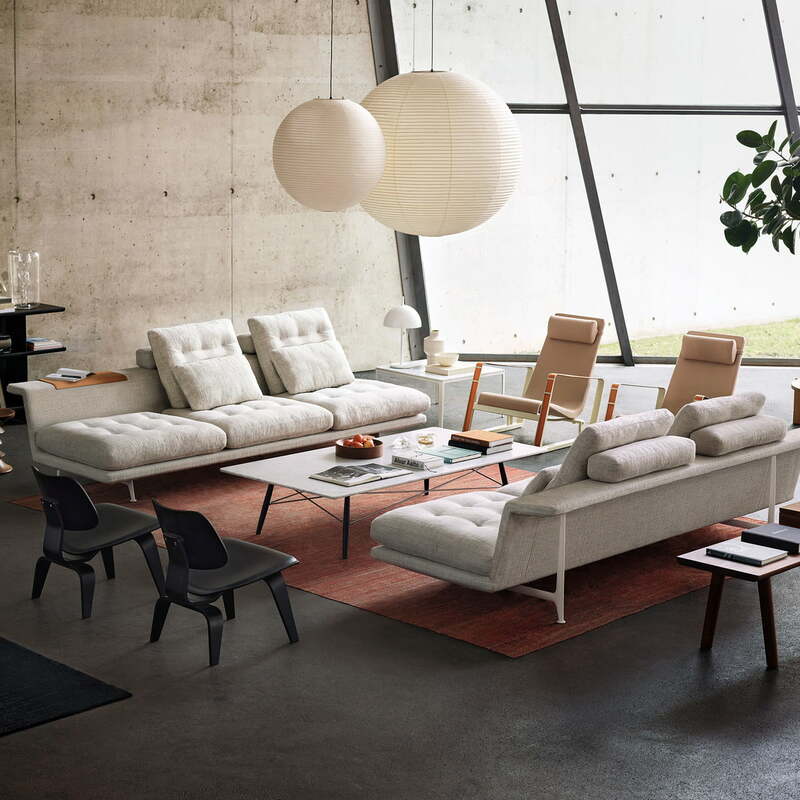 The Grand Sofà by Vitra is a design by the Italian artist Antonio Citterio's who places particular emphasis on luxurious comfort and contemporary design. The designer combines Italian flair for lightness and elegance with the trademark quality and precision of the Swiss company Vitra. Generous elements including expansive seating and reclining platforms provide maximum comfort. Thanks to its delicate and light construction, the sofa does not appear overloaded in any way: A slim, double-angled, fabric-covered body forms a cascading seat, backrest and a rearward ledge. The body is supported at two points under each end of the seat surface and behind the backrest by a bridge-like aluminium base frame, making the sofa appear like it is floating above the floor. Placed in the middle of a room, the sofa can also be used a small desk simply by placing a chair on the backside. In addition, the ledge can serve as a practical storage space for books, magazines and accessories. For items that require more stability, the matching tray with edges is also available. The seat and back cushions of the Grand Sofà are available with or without tufting. Both versions offer extraordinary comfort with their high-quality, soft filling. Nevertheless, each has a distinctive look: The classic untufted cushions are visually calm and subtle, while the cushions with tufting have a more playful appearance, adding a traditional touch to the Grand Sofà. Grand Sofà is available in a curated selection of fabrics of various colors. Thanks to the availability of various elements, the options for positioning the backrests, the different cushion designs and the underframe that come in polished, black or white powder-coated aluminium, a wide range of possibilities exist for a customised seating arrangement. 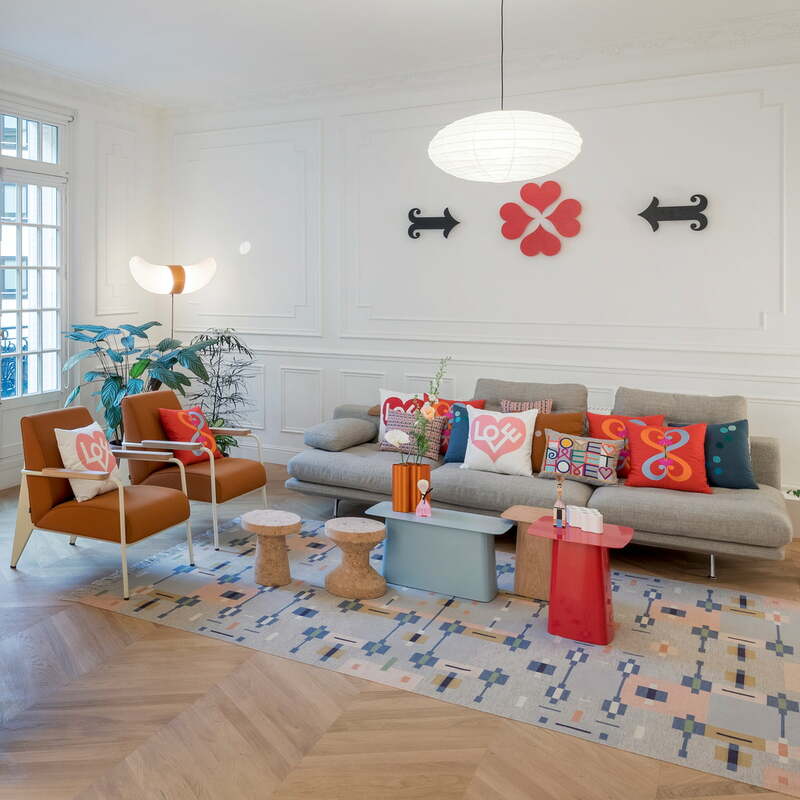 On demand, the Grand Sofa by Vitra is available in other sizes, designs, colours and fabrics. Body Metal frame with polyurethane foam. Seating cushions: polyurethane foam core and chamber cushion (filled with polyurethane foam lozenges, latex and a mix of goose feathers and down). 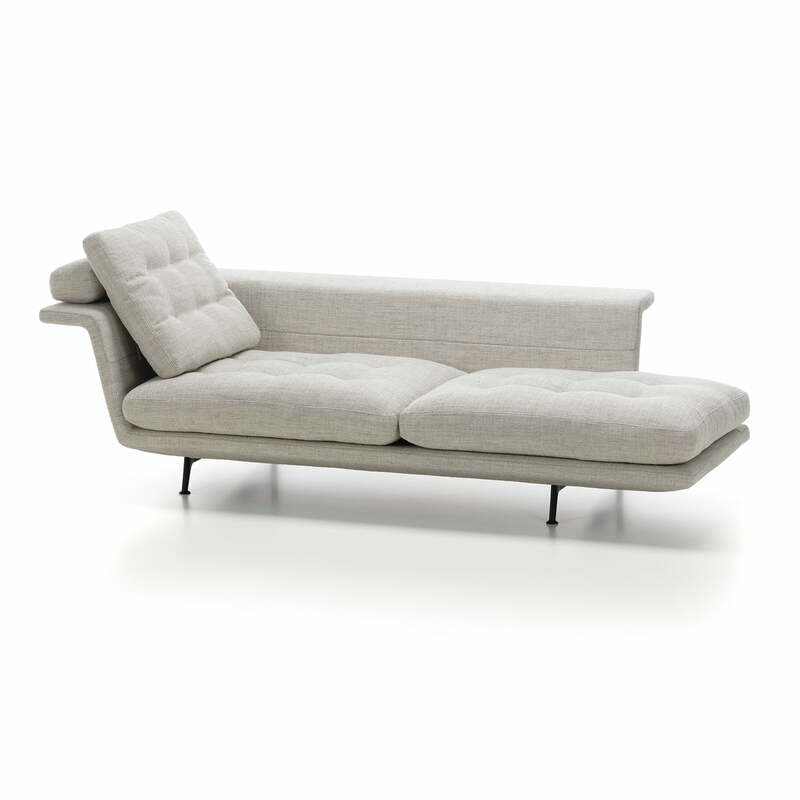 Isolated product image of the Vitra Grand sofa as a chaise longue in beige without tufting. The base in basic dark. The sofa is particularly elegant with an open right side. 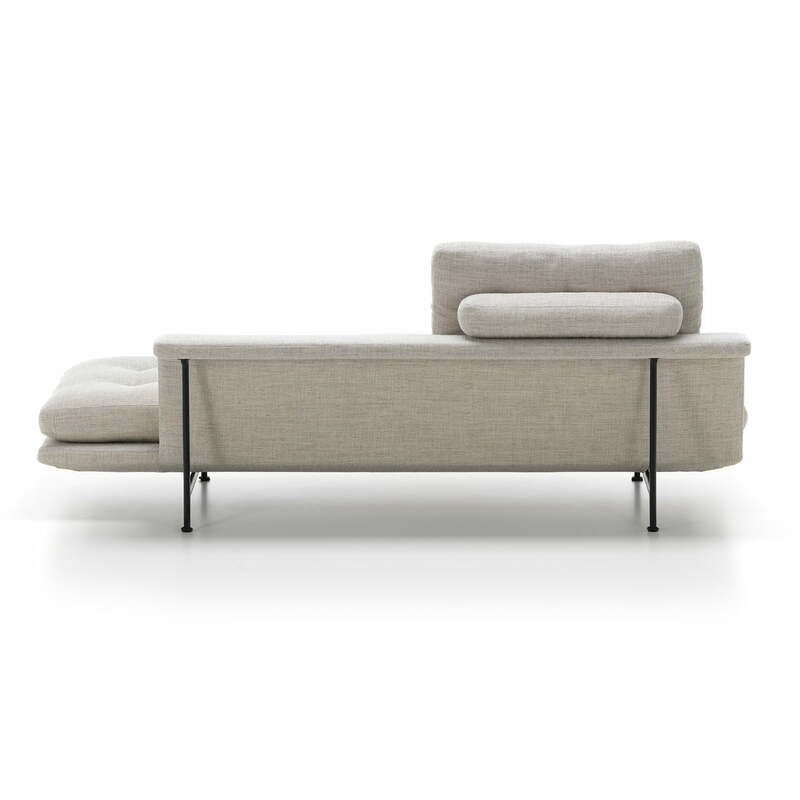 Isolated product image of the Vitra - Grand Sofà chaise longue. The slight increase in height with the cushions ensures comfort and invites you to relax. 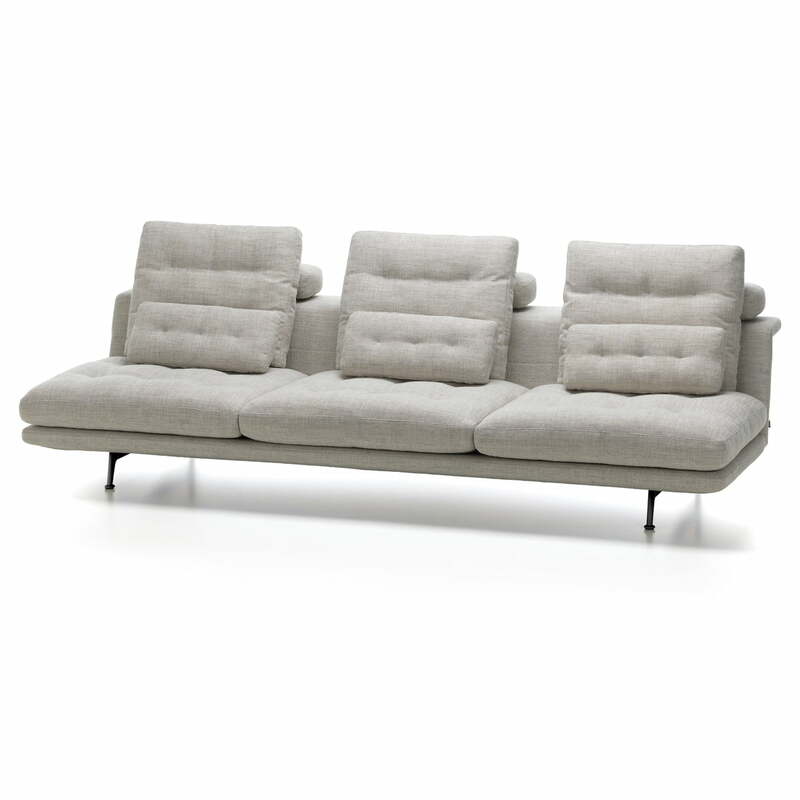 Isolated product image of the Vitra - Grand Sofà 3.5 seater. Resting on thin feet, the open sofa without armrests has a light and airy appearance despite its generous dimensions. 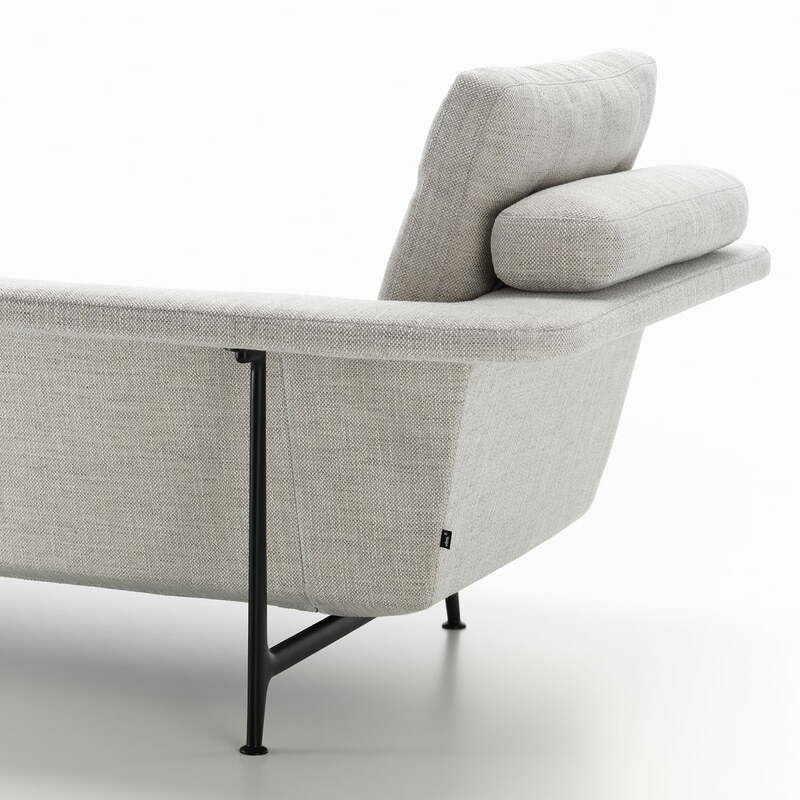 Isolated product image of the Vitra - Grand Sofà chaise longue. The sofa has a beautiful back so that it can also be freely placed in the centre of a room. 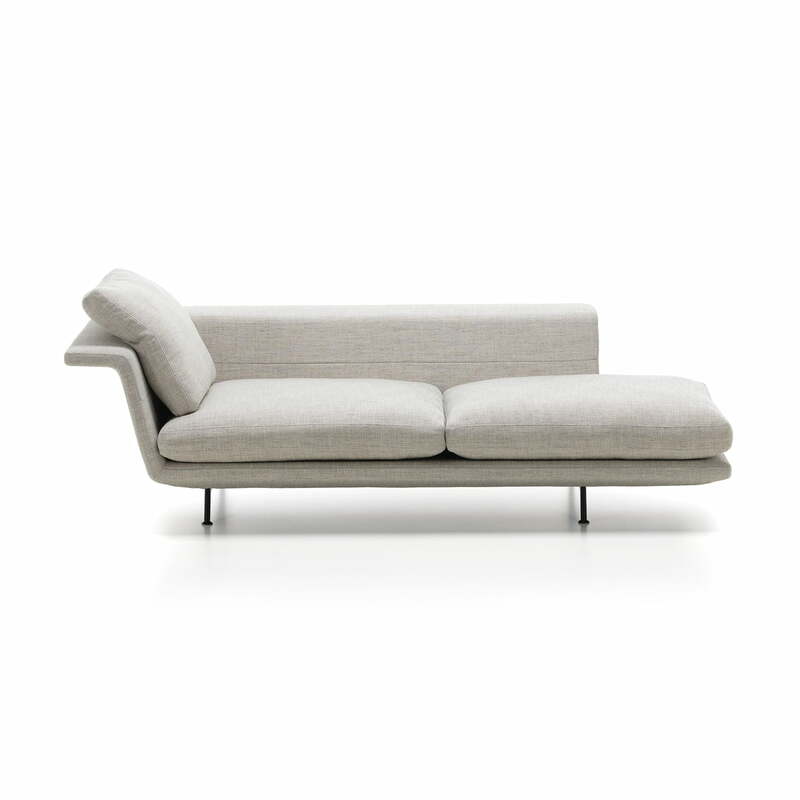 Isolated product image of the Vitra - Grand Sofà chaise longue open right. The seat and back cushions of the Grand Sofà are available with or without tufting. 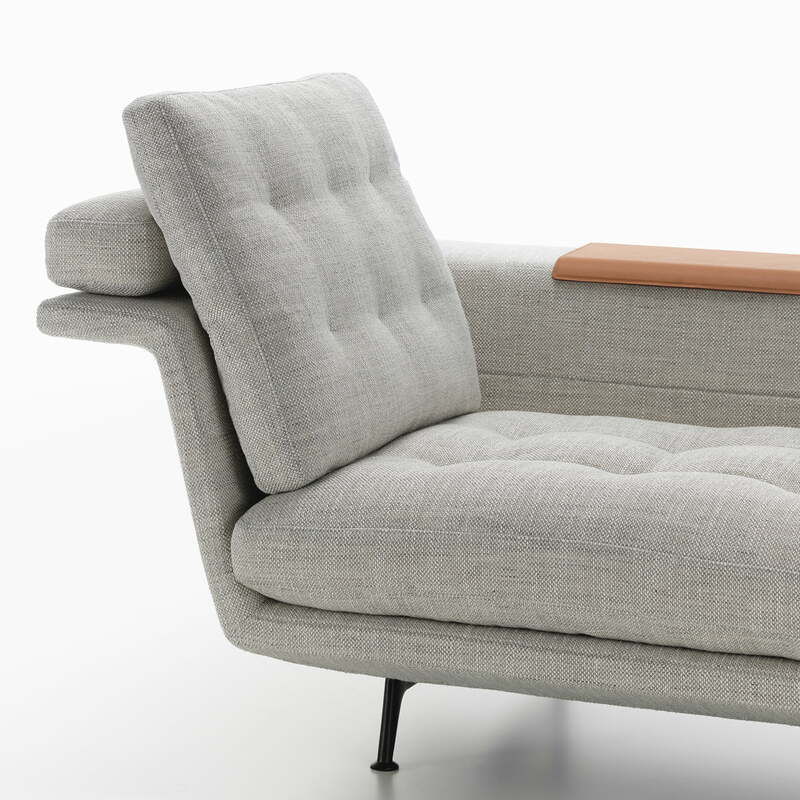 Detailed product image of the Vitra - Grand Sofà chaise longue. A slim, double-angled, fabric-covered body forms a cascading seat, backrest and a rearward ledge. Lifestyle product image of the Vitra - Grand Sofàs in various models. The Grand Sofà provides the true lounging experience while stylishly enhances any ambience. Lifestyle product image of the Vitra - metal wall relief above the sofa. Thanks to the wall reliefs by Vitra, stylish wall art can be created to provide a homely atmosphere.